The NOxBOXi™ delivers and monitors Nitric Oxide (NO) for use in Inhaled Nitric Oxide (iNO) Therapy. Encompassing both continuous and synchronous NO delivery modes for use with adult, paediatric and neonatal patients. The NOxBOXi™ is the ideal product for all your iNO needs. Nitric Oxide (NO) is a recognised and selective pulmonary vasodilator in adults and neonates, and used in the treatment of pulmonary hypertension. NO is added to ventilator circuits in the treatment of patients with severe breathing difficulties. It is used to improve gas exchange and reduce pulmonary arterial pressure in neonate, paediatric and adult intensive care units. 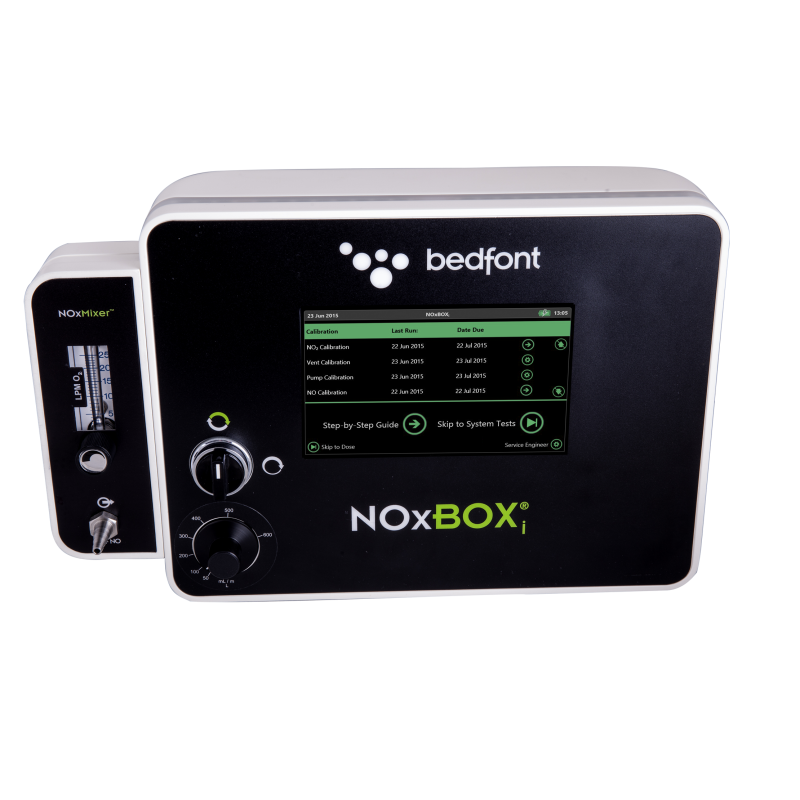 The NOxBOXi™ can be used for persistent pulmonary hypertension in new-born babies, acute post-operative cardiac patients and acute respiratory distress syndrome (ARDS). The NOxBOXi™ offers a paramount wealth of technology which you can rely on to deliver iNO therapy. The system has a step by step, guided interface to enable ease of use. 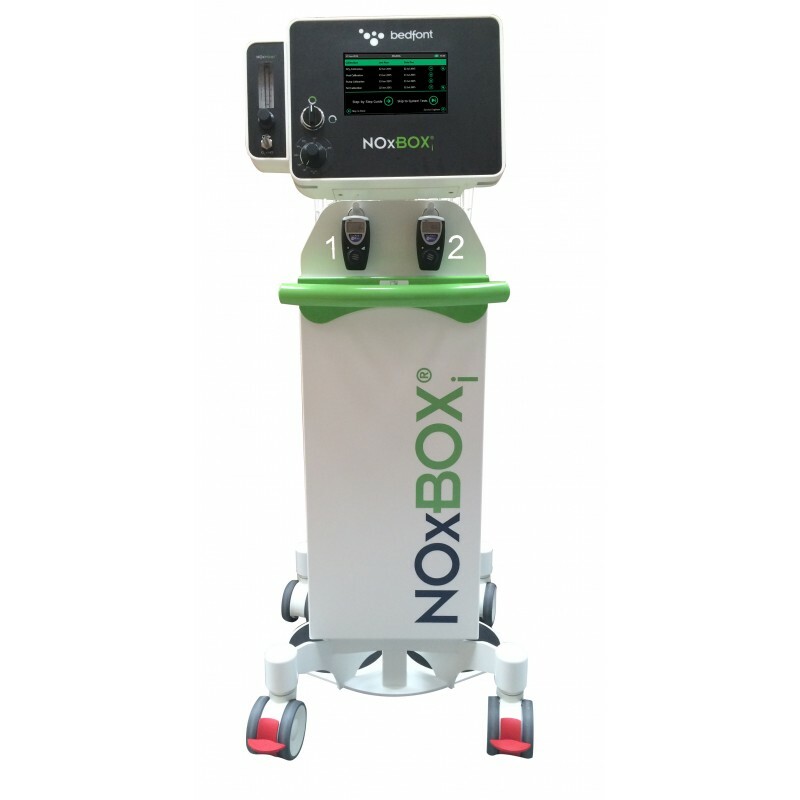 The NOxBOXi™ is designed primarily for use in hospitals with a portable, detachable head unit to provide continuous treatment for transit and transfer conditions. The NOxMixer is intended to deliver a continuous flow of Nitric Oxide (NO) from the NOxBOXi™, mixed in line with oxygen (O2) for use in Inhaled Nitric Oxide (iNO) Therapy. The NOxMixer will be used in conjunction with manually bagging a patient, in both adult and neonate. Do you have any questions about NOXBOXi Intelligent nitric oxide (INO) delivery system?